Limited to what is on hand! 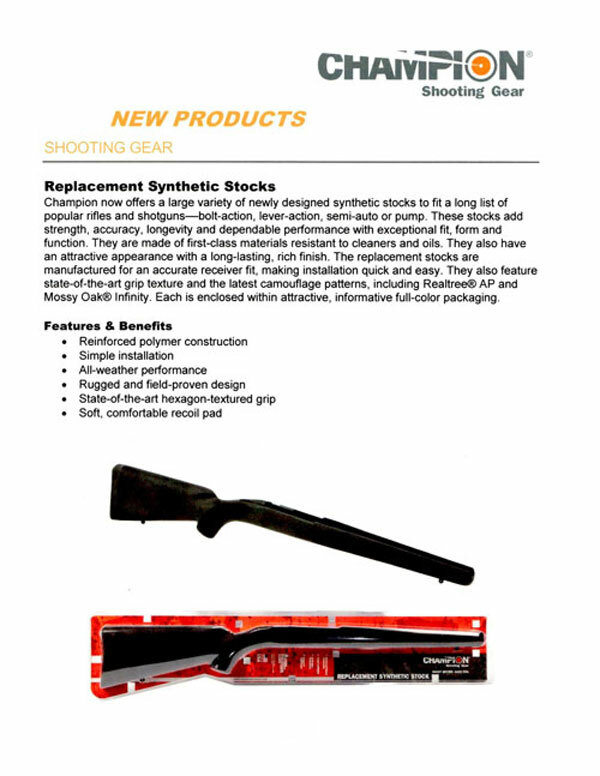 Newly Redesigned synthetic stocks for Rifles and Shotguns there are over 84 different stocks available. Sorry no On Line ordering, we like to talk to our customers. RAM-LINE ® and CHAMPION TARGET ® are DIVISONS OF OF ATK INDUSTRIES / Vista Outdoors. Ram-Line ©, Syn-Tech ©, Wood-Tech ©, Trail-Tech ©, Shot-Tech ©, Outers Cadet © are Copyrights of ATK industries.